One of the fastest growing Tier III cities in India -Future IT and Aviation city - Companies like Boeing, Satyam computers, HCL, Dell, Hexaware, DLF, Ascendas etc. has already finalized their projects. Adjacent to IT SEZ(Wardha Road – NH7) is Proposed International Cargo HUB(MIHAN – Multimodal International Hub Airport at Nagpur, (www.madcindia.org ), which is first and only such kind of project in the country being developed in Nagpur by a joint venture between Maharashtra Airport Development Corporation (MADC) and the Airport Authority of India (AAI). Second Capital and third big city in Maharashtra. Nearby is the new VCA cricket stadium. Nagpur: Water bodies in the city may soon be free of weeds as Housing and Urban Development Corporation (Hudco) has expressed its willingness to donate a weed cleaning boat to the Nagpur Municipal Corporation (NMC). “Hudco wishes to donate a weed cleaning boat to the NMC to maintain city’s water bodies,” confirmed a senior official from the civic body’s environment department. The NMC has also prepared a detailed project report for Hudco. 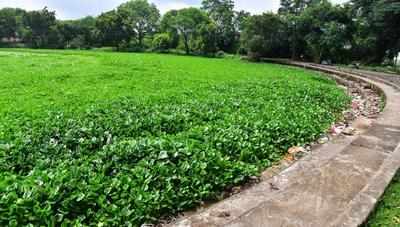 The city has 13 lakes and the prospect of water hyacinth choking almost 10 water bodies looms large as both the civic authorities — NMC and Nagpur Improvement Trust — have failed to control the weed. Due to lack of corrective measures by the NMC to control pollution, water hyacinth has spread over most water bodies in the city, affecting aquatic life as well as water quality. The NMC could take two measures to keep the water bodies clean — either by stopping pollution or cleaning the water bodies manually. However, the NMC has taken no measures to stop pollution by letting in sewage water, immersion of idols and dumping of solid waste. For the last couple of years, the NMC had launched a mega awareness drive to save lakes from immersion of idols and dumping of nirmalya. But as there was no measure to curb sewage water entering the lakes, the effort proved futile. Even TOI had on many occasions highlighted how sewage water was polluting lakes in the city. Swathes of weed can be seen in Lendi Talao, Naik Talao, Ambazari, Pardi and even Futala lake. As manual cleaning is not conducted regularly, the NMC has failed to de-weed the lakes, admitted a senior official from NMC’s environment section. “The swathes of weed over the water body prevent penetration of sunlight reducing the quality of water. The decaying vegetative parts too add to the environmental hazards,” he clarified. The ‘special boat’ costs around Rs1.30 crore and Hudco has agreed to donate it to the NMC under its corporate social responsibility. “The NMC has also urged Hudco to maintain the machine for at least seven years, while the civic body has agreed to bear the fuel cost,” he said. Once the civic body receives the weed cleaning boat, it will prepare a roster on rotation basis to clean the lakes, the official said, adding the NMC will go in for periodical de-weeding of the lakes and it should not be a one-off affair because weeds would grow soon after the de-weeding exercise. Nagpur: If a house has more than 125 sq mt or 1,500 sq ft built up area, then rainwater harvesting will be mandatory and architects will have to attach a No Objection Certificate (NOC) from the groundwater survey department for further approval. “Plans will be approved only on fulfilling these norms,” said water supply committee chairman Pintu Zalke at a review meeting held at Nagpur Municipal Corporation. Zalke also reviewed previous year’s committee’s zonal water meeting report and bills were discussed, according to which Rs200 crore has to be recovered this year. The water supply committee held the meeting to discuss burning issues relating to water shortage and to plan further course of action for the department. Zalke, reviewing the issue of emergency water supply measures, said the problem of water shortage in Southwest Nagpur will be resolved soon. Deputy leader Narendra Borkar, deputy chairman Shradha Pathak, members Jayshree Rarokar and Sanjay Burrevar, executive engineer Aniruddha Chaujjankar, executive engineer of water supply Pradeep Rajgire, deputy engineer Manoj Ganveer, vice-president of OCW Rajesh Kalra were also present. 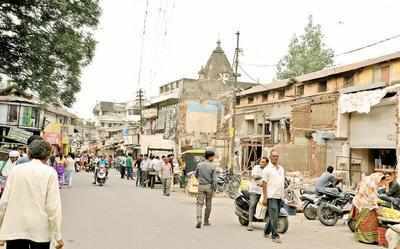 Nagpur: The cash-strapped Nagpur Municipal Corporation (NMC) is set to approach Maharashtra government to pay Rs116.51 crore compensation to 139 property owners who would be affected by widening the 1.3km Kelibagh Road patch from the existing 15m to 24m. NMC needs around 1,455.82 square metres land for the road widening. Apart from individual property owners, many affected portions of the land are owned by NMC, state government and Matru Seva Sangh Hospital. Though NMC has already issued demolition notices to 139 shopkeepers and residential property owners, it has to compensate the affected people. The civic body has started demolition of its 10 properties and 40 properties owned by Nazul department. NMC had offered three options — either transfer of development rights, floor space index as compensation to the property owners or monetary compensation, said a senior official from NMC’s town planning department. But, they agreed for monetary compensation, he said. So with the help of district collector’s land acquisition department, the NMC has calculated the compensation pegged at Rs116.51 crore. Under Maharashtra Suvarna Jayanti Nagarotthan Mahabhiyan, the NMC is seeking monetary help from the urban development department. According a senior official from the town planning department, the state government funds 75% compensation amount to any civic body which needs land for widening of road or construction of flyover or railway over /under bridge. Meanwhile, with promise from Union transport minister Nitin Gadkari to provide financial assistance to undertake widening of 3.28km congested stretch of old Bhandara Road from Mayo Hospital to Sunil Hotel T-point, the NMC has speeded up the process. Despite this, many shopkeepers have allegedly renovated their shops. NMC’s town planning department along with officials from Gandhibagh zone has started marking central line. According to officials from Gandhibagh zone, the marking will include identification of road width, survey number and survey plot number of commercial and residential properties along the road. As per city survey records, the road stretch passes through 5 to 6 city survey sheets, he explained. Currently, the road widths vary from 20 feet to 50ft which is not enough for a hassle-free traffic movement. Even at some places, encroachments have reduced the road width to just four metres while at other places the width is 14-15 metres. “After completion of central line marking, the extent of area that needs to be acquired and property analysis will be done and meetings with property owners will be held,” he said. To a query, the officer said already the Gandhibagh zone has issued notices to around 490 property owners on this stretch seeking their opinion over mode of compensations they are looking for. Nagpur: Rattled by the exodus of its consumers towards solar generation, MSEDCL is taking all steps to scuttle the solar rooftop policy. After seeking a surcharge of Rs1.26 per unit on such consumers, the discom has proposed to replace net metering by gross metering. The decision in this regard will be taken by Maharashtra Electricity Regulatory Commission (MERC). Gross metering will make solar rooftop unviable. Under net metering, the excess units used by consumers are charged at MSEDCL tariff. Under gross metering, the entire consumption will be charged at MSEDCL tariff, and solar energy generated by the consumer will be deducted from it. This can be understood with an example. If a consumer uses 500 units and generates 450 units. Under net metering, he will be billed for 50 units at MSEDCL tariff. However, under gross metering he will be billed for all 500 units at MSEDCL tariff while MSEDCL will buy the 450 units generated by him at average cost of renewable energy purchased by the discom. As MSEDCL has a slab system, the bill for 500 units used will be very high, the average being around Rs9 per unit. Against this, the average cost of renewable energy is Rs6 per unit. This means that the consumer will have to pay MSEDCL at the rate of Rs3 per unit for the 500 units he consumes. Under net metering, he pays for only 50 units at low rates, because the tariff for 0-100 units is low. The consumer will not benefit even if he generates more than 500 units under gross metering, whereas he will get a negative bill under net metering. Power consultant Ajit Prasad Ganguly slammed the policy, saying that small consumers will find that their return on investment is not coming. “Consumers should be given an option of going in for net or gross metering. This is done in Karnataka,” he said. “Net metering can be for domestic and commercial consumers up to a certain sanctioned load. Gross metering can be available for industrial or big commercial consumers,” said the expert. The central government has set a target of generating 40,000MW from solar rooftop by 2022. It had failed to meet its target for 2017-18 by 500MW. MSEDCL wants to discourage solar rooftop despite missing the target. Nagpur: The BJP has started gearing up for next year’s general and state elections with chief minister Devendra Fadnavis on Monday asking Nagpur Metropolitan Regional Development Authority (NMRDA) to speed up process of Patte Watap (ownership rights) to slum dwellers in Nagpur Municipal Corporation (NMC) limits. He also asked NMRDA to create separate mechanism, including manpower for the purpose. The CM, who chaired a meeting of NMRDA at Mantralaya, authorized it to prepare framework for regularization for lands under Gunthewari Act and asked officials to prepare a plan to regularize slums settled before December 31, 2015. He also said NMRDA and Mhada should take initiative to construct more houses for poor under Pradhan Mantri Awas Yojna. District guardian minister Chandrashekhar Bawankule, mayor Nanda Jickhar and MLAs from Nagpur region were present at the meeting. The CM also gave nod to appoint consultants for preparing development plan reports for water supply and sewerage networks in NMRDA jurisdiction. Fadnavis directed preparation of a policy on land use in NMRDA areas and also gave in-principle nod to Authority’s budget estimate and forwarded this before the executive committee. He also gave nod to revised staffing pattern for NMRDA and also asked to ensure civic amenities in various layouts. On Tuesday, Union transport minister Nitin Gadkari will hold a meeting on various development related issues of the city like construction of development plan roads like Kelibagh, Old Bhandara Road and Telangkhedi Road. He will also review finalization of location for city’s vegetable markets, mutton market and fish market as well as for Wednesday market (Mahal), Monday market (Sakkardara), Netaji Market and Kamal Chowk. Discussion will also be held on Orange City Street project and Sports Authority of India regional centre at Wathoda. The meeting will be held at Vanamati at 12 noon. Nagpur: Before the Ganesh festival, the city lakes are in a better state this time when compared to previous years — thanks to both, good rains and efforts taken by the civic body. 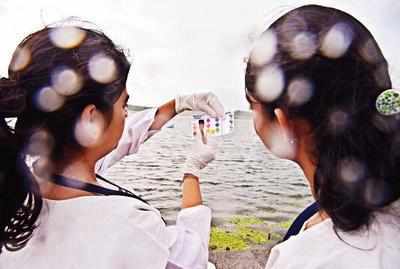 Water quality of Sonegaon, Gandhisagar and Futala lakes was tested during a pre-immersion water monitoring programme conducted by environmental NGO Green Vigil Foundation. During the survey, the lakes were tested for different parameters including dissolved oxygen, turbidity, pH value and temperature. The Nagpur Municipal Corporation’s (NMC) first attempt of completely barricading Gandhisagar lake to stop immersions has yielded fruitful results. It’s dissolved oxygen, which refers to microscopic bubbles of gaseous oxygen mixed in water, has gone up to 5 milligrams per litre (mg/l), against 4.5 and 4 mg/l in 2016 and 2017, respectively. “This year, the lake was comparatively clean. The civic body was successful in achieving its zero immersions target,” said Green Vigil founder Kaustav Chatterjee. Despite large-scale immersions last year, the dissolved oxygen at Futala showed improvement. Its level, which post 2014 dropped drastically from 5 to 3.5 mg/l and stayed there till last year, has now increased to 4.5 mg/l. Apart from increase in Futala’s water level due to rainfall, the rise is also attributed to NMC’s recent cleaning drive during which around 11,000 metric tonne of slurry was dug out from the lake. “In absence of oxygen and sunlight, the sludge was formed at the lake’s bottom. Removing this has enhanced oxygen levels,” said Surbhi Jaiswal, team lead of the foundation. Last year, around 11,000 small Ganesh idols were immersed in artificial tanks at Futala. However, all the big idols went in the lake following which its turbidity rose to 90 JTU and dissolved oxygen declined to 2.5 mg/l. Like last few years, this time too Sonegaon came out to be the cleanest lake during the monitoring. With no trace of immersions, the lake’s turbidity was 50 JTU and dissolved oxygen was 5 mg/l, same as Gandhisagar. “Last year, there wasn’t much rains in August when the pre-immersion monitoring was done. But this time, rainfall is continuing due to which water level of lakes is more. This increases the dilution factor,” said Chatterjee. This year too, the civic body has imposed a blanket ban on immersions at Gandhisagar, Sonegaon and Sakkardara lake. It has also appealed to the Ganesh mandals to not go for tall idols. NMC also plans to increase the number of artificial tanks. Nagpur: It’s finally decided. MahaMetro has been assigned the task of demolishing the railway station flyover after September 25. With it gone, the railway station road will be widened to six lanes. Central government has sanctioned Rs234.21 crore for the purpose by under Central Road Fund Scheme, said Union transport minister and city MP Nitin Gadkari here on Tuesday. Gadkari held a meeting to review various ongoing projects in city. It was attended by MahaMetro managing director Brijesh Dixit, mayor Nanda Jichkar, MLA Krishna Khopde, district collector Ashwin Mudgal, additional municipal commissioner Ravindra Kumbhare, chief engineer (PWD) S Debadwar, ruling party leader Sandip Joshi among others. MahaMetro officials also made a presentation about their plan to decongest Jai Stambh Square. They proposed ramps from Kasturchand Park (on Kingsway road) connecting with Ramjhula. This will provide direct access to motorists coming from LIC Square and going towards Central Avenue and ease congestion at Jai Stambh Square. Gadkari also advised NMC to table the proposal to demolish the railway station flyover in its general body meeting scheduled early next month. For widening of the road station road, he asked district collector Ashwin Mudgal to help MahaMetro to acquire land belonging Maharashtra State Road Transport Corporation and Madhya Pradesh State Road Transport Corporation. He asked MahaMetro to ensure proper rehabilitation of those having shops beneath the flyover. Along with development of railway station premises, MahaMetro will work as project management consultant for NMC’s Orange City Street project too and develop Cotton Market, Santra Market, Gol Bazaar and Netaji Fule market. In all these works, Mahametro will rehabilitate 1,500 shopkeepers. Gadkari advised NMC to ensure rates of property being developed at Orange City Street project should be cheaper than market price so it receives a good response. According to him, doctors have already given their consent to shift their hospitals in the project. He also asked Mahametro to develop the road from RBI Square to Agrasen Chowk using own resources and asked it to pay Rs228 crore sanctioned for the project to the cash-strapped NMC. TOI has already reported that in his last meeting, Gadkari had directed MahaMetro to take up development projects proposed on areas around railway station, including demolition of the station flyover. He asked MahaMetro to construct four railway over bridges (ROBs), one each at Pachpaoli and Mankapur, and two at Kalamna. He also assigned them the task of Futala development, comprising an underpass, viewers’ gallery, musical and laser show etc. For ROBs, the city has been made available Rs709.29 crore from Central Road Fund. He asked the NMC to withdraw the beautification project of Ambazari lake from Maharashtra Tourism Development Corporation and hand it over to Nagpur Improvement Trust. NMC officials told Gadkari that they had handed over the lake to MTDC for development following state government directive. Gadkari responded that as MTDC had failed to start the project, NMC should hand it over to NIT. Now, NMC will bring another proposal in general body meeting in this regard, said Sandip Joshi. According to Gadkari, Mahametro has set an example of good work and so it has been assigned with other works in the city. He also directed to provide funds for regional centre of Sports Authority Of India coming up in Wathoda area. He asked the collector to provide Rs30 lakh from mining fund, while central government has already provided Rs30 lakh for the project. Another Rs100 crore will be made arranged from MOIL under corporate social responsibility. During the meeting, Gadkari said the Raymond group has expressed interest in opening a school adjacent to Symbiosis campus. He expressed concern over drinking water crisis looming over the city due to rainfall deficit and asked NMC to speed up the work to construct a check dam at Kanhan river. Gadkari lambasted the NMC for substandard development plan road between Mure Memorial Hospital and North Ambazari road and asked the civic body to suspend in charge of the project executive engineer Satish Neral. NMC will now issue show-cause notice to Neral, said a senior official. 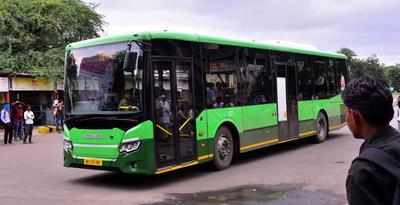 Nagpur: The fate of nation’s first Green Bus project will be decided on Thursday. City MP and Union minister for road transport, highways and shipping Nitin Gadkari has organized a meeting related to the project at 12noon on Thursday at Parivahan Bhavan, New Delhi. Green Bus operator SST Sustainable Transport Solutions, a company floated by Swedish Bus maker Scania Commercial Vehicles India Private Ltd, had stopped operating 25 ethanol-run buses from August 13 citing non-compliance of various conditions of the contract by Nagpur Municipal Corporation (NMC). The buses were taken off the roads despite two meetings held by Gadkari with NMC officials and office-bearers. The representatives of Swedish government, officials of Scania, GST and NMC are likely to be present in the meeting. Chairman of city transport committee, Bunty Kukde, will also be present. One of the major reasons behind Scania shutting down the services is non-fulfilment of its demand of 18% GST by the civic body. Scania was demanding GST to be paid by the civic body, but the latter declined stating that GST is not applicable on city bus service. Gadkari is likely to sort out the GST issue in the meeting. As per the contract, Scania was supposed to run 55 Green Buses from March 1, 2017 but roped in only 25 citing the GST issuelack of escrow account, pending dues, handing over of land for depot etc. Even after stopping services after issuance of termination notice, Scania did not make it clear whether the services were discontinued permanently or on temporary basis. Scania was also supposed to set up biogas plant and run 25 biogas-run buses in the city. The company has halted the projects in Goa and Thane too, along with a bus body building unit in Karnataka. It reportedly failed to supply amphibious bus to JNPT, which is Gadkari’s ambitious project. Nagpur: SNDL and MSEDCL are now disconnecting power supply of buildings on the directives of Nagpur Municipal Corporation’s (NMC’s) fire department. These buildings have been declared unsafe by the fire department. SNDL has so far disconnected 13 such consumers while MSEDCL has snapped the supply of one. SNDL had disconnected Empress Mall connection some days ago. The fire department had objected to stalls and kids’ train operating in the corridor. The owner KSL has filed an appeal before director of Maharashtra fire services, claiming that the fire department had no jurisdiction in this matter. The hearing will be held in Mumbai on Thursday. TOI visited some of the disconnected buildings. Prashant Bar at Tukdoji Square, and Yashashree Tuition Classes at Mhalgi Nagar Square had shut shop temporarily, while Gurudeo Automobiles on Pratap Nagar Ring Road was running on off grid solar system. The manager of the shop said they had installed fire safety equipment and applied to the fire department for reconnection. A fire department report had declared 782 of 1,759 high-rises (over 15 meters high) in the city as unsafe, in the absence of adequate firefighting equipment, and advised occupants to vacate them immediately. The inspection was carried out from April 31, 2017, to March 31, 2018. The department has also instructed NMC’s water works department, and Orange City Water Limited (OCW) to disconnect water supply to 372 buildings. It has also issued a similar directive to MSEDCL and SNDL to snap power supply to these structures. The notices were served under the provision of Maharashtra Fire Prevention and Life Safety Measures Act 2006. However, in most cases, MSEDCL, SNDL and OCW continue to supply power and water. Taking cognisance of this, civic chief Virendra Singh had recently convened a meeting and issued instructions to the three organizations. Since then power supply of some of the consumers is being disconnected. While some consumers allowed SNDL to disconnect them, others opposed it strongly. In the past few days, SNDL teams had to return without disconnecting six consumers as they did not allow disconnection. “The consumers said SNDL had no right to disconnect them as they had paid their power bills regularly. They refused to take cognisance of fire department’s notice. We have therefore written to the fire department to depute a staffer to accompany our disconnection team. The staffer should explain why disconnection is necessary,” said a SNDL spokesperson. City police are not helping SNDL at all. On Sunday, the SNDL team that had gone to Empress City to disconnect it was forced to reconnect the same by the residents. Ganeshpeth police did not come to its aid despite repeated calls. Nagpur: Nagpur is one of the 31 polluted cities in the country which have not come up with an action plan to curb air pollution. In an unrelated action, the environment ministry has roped in expert agencies to use advanced technologies for better air quality management with a major focus on establishing pollution forecast and warning systems. Under the National Clean Air Programme (NCAP), the Central Pollution Control Body (CPCB) which is a statutory body of the Ministry of Environment, Forest and Climate Change (MoEFCC), had identified over 100 polluted cities where the prescribed standards for ambient air quality are violated. Among them, the highest number of cities which have still not submitted a feasible action plan are located in Maharashtra. While the board is hopeful that the cities will be presenting their plans soon, it is now looking at more scientific options to combat air pollution. Few months back, the board and ministry’s officials held a meeting with expert institutions to discuss application of advanced technologies. The decision of constituting an expert group for providing recommendations on early warning system was taken during the meeting. “Controlling air pollution is an integrated subject and we are looking at better options involving adoption of technology and long-term sustainability,” said Dipankar Saha, additional director, head of Air Laboratory and Air Quality at CPCB. The focus will be on forecasting episodic situations, like the recent dust storms that hit Delhi, said Rakesh Kumar, director of National Environmental Engineering Research Institute (Neeri). “All the expert institutions are collaborating to improve forecasting ability so that citizens can be warned well in advance about deteriorating air quality,” said Kumar. Neeri is already monitoring air quality at ten locations in Delhi using sensors. The other institutions include Satellite Application Centre of the Indian Space Research Organization (ISRO), Department of Science and Technology (DST), National Physical Laboratory (NPL), Indian Institute of Technology (IIT), Delhi, Indian Meteorological Department, IIT-Mumbai, Indian Institute of Tropical Meteorology and Bureau of Indian Standards. The ministry aims to formulate a better framework for air quality manegment in the coming months. “DST will come up with technology interventions which can be used before onset of winters. They should provide the assessments results in two weeks so that pilots can be rolled out,” stated the ministry’s press release. It added that the NPL will be the certification agency for air quality measurement instruments. “Certification of PM2.5 and PM10 volume samplers will start from September this year,” the release stated. Nagpur: The state government does not seem to have a coherent policy on solar rooftop systems. On one hand, MSEDCL wants to discourage them by proposing to levy a surcharge and going in for gross metering instead of net and on the other, its sister concern Maharashtra Energy Development Agency (MEDA) has decided to provide subsidy for them in 2018-19 too. MEDA has sent a circular to solar power consultants informing them that residential and educational institutional consumers will continue to get subsidy of 30% of benchmark price from central government. This price is the minimum one for solar panels as determined by central government. Consultant Ajit Ganguly said only difference between the circulars of this year and last year were the benchmark prices. “Last year, the benchmark price for A category — having sanctioned load between 1kW and 10kW — was Rs61,000 per KW. This year, it has been reduced to Rs47,000. This is fair as prices of solar panels have crashed in past few months. The prices of solar panels in other categories too have been reduced,” he added. As per the latest circular, consumers will get a subsidy of Rs14,100 per kW for loads between 1kW and 10kW (category A). The figure is Rs13,350 per kW for loads between 10kW and 100kW and Rs13,200 for loads between 100kW and 500 KW. Those having sanctioned load above 500kW will not get any subsidy. Ganguly said that MSEDCL’s proposal to levy surcharge and replacing gross metering by net was discouraging consumers. “If Maharashtra Electricity Regulatory Commission (MERC) agrees to these proposals then solar rooftop will no longer remain viable. The existing consumers are in a state of panic while prospective ones have put their plans on hold,” he said. Another consultant Sudhir Budhe said that MSEDCL was proposing the changes out of commercial considerations and was not taking reduction in carbon footprints into account. “People have opposed these proposals tooth and nail in all the public hearings held by the Commission,” he added. MSEDCL managing director Sanjeev Kumar refused to comment on his proposals saying that they could not be discussed over telephone. Energy minister Chandrashekhar Bawankule could not be contacted. Nagpur: Coming down heavily on Nagpur Municipal Corporation (NMC) for its failure to inform about the number of trusts depositing money with its registry to save illegal structures from demolition, the Nagpur bench of Bombay high court on Thursday asked the civic body to submit a detailed list of those objectors who had completed the formalities within a week. The directives came while hearing a plea (WP No 6177/2006) by Dr Gajanan Zade and Manohar Khorgade, praying for removal of encroachments, including religious structures, pandals, statues and others from roads, pavements and public utility places. At the start of hearing, Nagraja Trust through counsel Jitendra Matale informed the court that it too wants to deposit Rs 60,000 and submitted a cheque in the HC. The judges, however, flayed the trust stating that it was already late and asked it to deposit Rs 1.20 lakh now. Earlier, petitioners’ counsel Firdos Mirza pointed out that the civic body has stopped demolition drive as assured by its commissioner Virendra Singh on an affidavit since last hearing on August 9. Petitioners’ counsel Firdos Mirza stated that though only 278 objectors out of 967 have deposited Rs50,000 till last hearing, the corporation has stopped action against the remaining structures, many of which are right on roads and footpaths. He added that the NMC had assured to demolish five illegal structures per day on roads and PU lands and open spaces. A division bench comprising Justice Bhushan Dharmadhikari and Justice Murlidhar Giratkar then sought information on number of objectors who have deposited Rs60,000 till Tuesday. Senior counsel Chandrashekhar Kaptan tried to take brief from Sangita Jachak, who was representing the corporation in the absence of regular lawyer Sudhir Puranik. However, she too couldn’t provide any concrete information, thus inviting the HC’s wrath. Expressing anguish over NMC’s apathy, the judges directed it and petitioner to verify the number of trusts depositing money with its registry and action taken against remaining illegal structures. Both were told to complete formalities within a week and inform the court. During the last hearing, the HC had asked latecomers to deposit Rs60,000 for proving their bona fides and decided to donate the amount collected from all objectors to Government Shelter Homes for Children in Vidarbha, which are in dire straits. Thereafter, the NMC informed that since last hearing on August 2, it had received 864 more objections from those who constructed illegal structures without requisite sanctioned plans and building permit. These are in addition to 677 objections received till July 18, which took the total number of objectors to over 1,500. Citing Bombay Police Act where the cops can take cognisable action against illegal encroachments like pandals for religious festivities, the petitioners claimed that even the police were remaining mute spectators. Nagpur: Even though Union transport minister Nitin Gadkari belongs to the city, National Highways Authority of India (NHAI) is not providing funds to MahaMetro on time. This has delayed the completion of Wardha Road double decker flyover and Manish Nagar railway overbridge (RoB) by at least six months. Sources in MahaMetro said that earlier the two structures were to be completed by March 2019 along with Mihan-Sitabuldi stretch of Nagpur Metro. “However, there was a huge gap in funding by NHAI and hence our contractors had stopped work. Now we will be able to complete them by August or September 2019,” he added. The initial deadline for completing the two structures was December 2018. 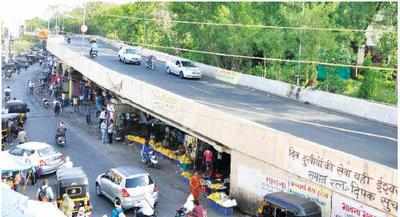 Wardha Road flyover is vital for reducing congestion on the road. Manish Nagar RoB is even more important as residents living on the east of the Nagpur-Wardha railway line have to wait for a long time on the railway level crossing and have been demanding a RoB since years. The Chhatrapati Nagar flyover was demolished by MahaMetro in November 2016 for the double decker structure. Work on the two structures had started in October 2016. The flyover is 3.41km long and is between Ajni Square and just before Hotel Pride. The cost is about Rs425 crore or about Rs120 crore per km. The 900 metre long Manish Nagar RoB will cost another Rs91 crore. NHAI has promised to pay MahaMetro Rs414 crore but the Metro agency is charging them in proportion to the actual expenditure. The four lane flyover will be 22 metre high (about seven storeys). The metro track will be at this height while the road will be at a height of 12 metres (about four storeys). There are three Metro stations below the flyover. MahaMetro is also constructing a 60 metre long and 6.5 metre wide railway underbridge (RuB) to the south of the existing railway crossing. The two-lane underpass will reduce inconvenience to the residents living in Manish Nagar, Besa, Beltarodi, etc. Around 4 lakh people live in this area. It will be constructed by pushback method. The RuB had been initially dropped by MahaMetro following protests against land acquisition. Later it found another spot to construct it. Nagpur: Despite having the highest number of polluted cities in the country, Maharashtra has no mitigation plans in place for even a single city. Details obtained by Greenpeace India under Right to Information (RTI) have revealed shocking facts about ‘missing’ action plans for 17 cities of the state. The Central Pollution Control Board (CPCB) had identified these cities as ‘non-attainment’ based on the ambient air quality monitoring. Major pollutants like particulate matter 10 and nitrogen dioxide crossed dangerous levels in the 17 cities between 2011 and 2015. As part of the National Clean Air Programme (NCAP), non-attainment cities had to mandatorily submit individual action plans to curb air pollution. Replying to an RTI query, CPCB stated that the cities were asked to submit their plans before August this year. In a reply dated August 20, the board informed that none of the 17 cities of the state have an implementable action plan ready. The board’s records further suggest that even though seven out of the 17 cities had submitted their plans, CPCB rejected them and asked the cities to revise and re-submit them. These cities include Mumbai, Pune, Amravati, Aurangabad, Jalna, Kolhapur and Latur. “The submitted plans were merely responses to the directions of CPCB sent to Maharashtra Pollution Control Board (MPCB) in July 2016. Important aspects like scientific approach to identify polluting sectors and including time-bound targets for improving air quality were missing in the plans,” said Sunil Dahiya, senior campaigner at Greenpeace India. In its report ‘Airpocalypse’, the environment group pointed out that 25 cities in the state have toxic air. “While the CPCB has identified 17 polluted cities based on 2011-2015 data, we analysed the air pollution data of 2015 and 2016, which shows that 25 cities exceed permissible annual limits of PM10,” said Dahiya. The World Health Organization (WHO) report, which was released in May this year, warned that after Uttar Pradesh, Maharashtra was on the verge of becoming one of the country’s most polluted states. As per WHO data, air quality in at least six cities of the state was almost four-to-eight times worse than the standards set by the global organization. Last winter, the pollution levels in the state became as bad as those in Beijing. Before the state gets engulfed in another season of air pollution post-monsoons, it is imperative to formulate time-bound action plans, said Dahiya. “City-level plans play a crucial role in combating air pollution. NCAP should also be announced immediately so that state governments can collectively come up with national as well as regional pollution reduction targets,” he added. Nagpur: The Nagpur bench of Bombay high court has stepped in to save the green cover across city by widening the scope of a suo moto public interest litigation (PIL) which was earlier taken up regarding a proposed tree felling near Ambazari T-Point. Is Real Estate the best place to park black money?